The Riviera Maya has so much to offer, so if you are looking for more than just sipping margaritas poolside, look no further than this list of our 5 favorite off-property activities in the Riviera Maya. These are great optional add-on’s for those that want to venture off of their all-inclusive resort for a little adventure! 1. Tulum Ruins & Xel-Ha Eco Parks: This Tour Includes Both! Tulum and Xel-Ha are two of the best off-property activity centers in Riviera Maya. We suggest booking the Tulum + Xel-Ha All Inclusive Tour. This day long excursion (lasting approximately 10 hours) allows you to experience both the stunning ruins of Tulum and the Xel-Ha eco-park. In Tulum, enjoy a guided tour and learn about the history of these important Mayan remains. Later you will transfer to the Xel-Ha eco-park. Here you can snorkel alongside the breathtaking and colorful marine creatures, partake in several water activities, and enjoy a delicious buffet meal with unlimited drinks. 2. Explore the Underground World of Riviera Maya on the Privilege tour. 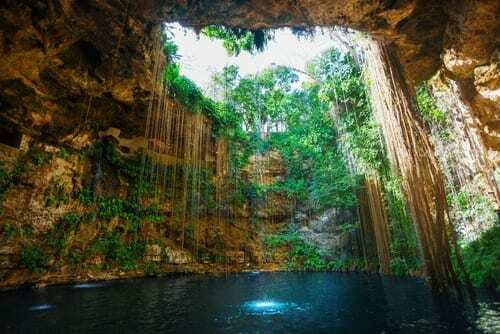 Explore some of the most beautiful natural wonders in all of the world: the cenotes and caverns of Riviera Maya. We suggest The Privilege Tour. This tour is an amazingly personalized and upscale, private experience. During the excursion you will swim in crystal clear waters and explore the mystical underground world of Riviera Maya. After a brief explanation of the place and the safety measures, you will be guided through the fascinating natural beauty of caverns that were discovered in 2005 with a very little access to visitors. Explore this place at your own pace, with personal photographer, time to rest in different spots of your choice, and a snack during the tour. An unforgettable experience that includes gourmet lunch and a certified, bilingual guide. If your dream is to swim with dolphins, ‘The One’ tour is one of the best excursions for that. What sets this dolphin excursion apart from others is that it is private. You and up to five other family members or friends will enjoy a magical hour with a professional dolphin trainer. Enjoy all of the best dolphin tricks you’ve seen on Instagram including a jump, kiss, foot push, hug, signs, and more. Earn your diver certificate surrounded by the breathtaking underwater landscapes of the Mesoamerican Barrier Reef during this excursion. 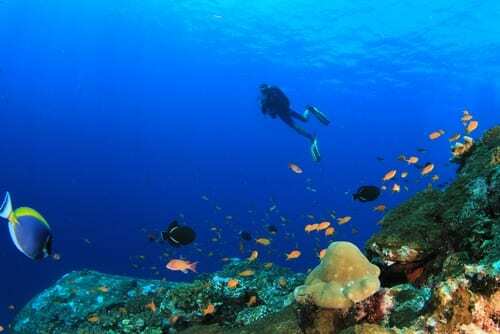 A professional guide walks you through your certification on day one, then that very same day you will take your first of two diving immersions in the sea at 45 feet depth. The second day is all diving! 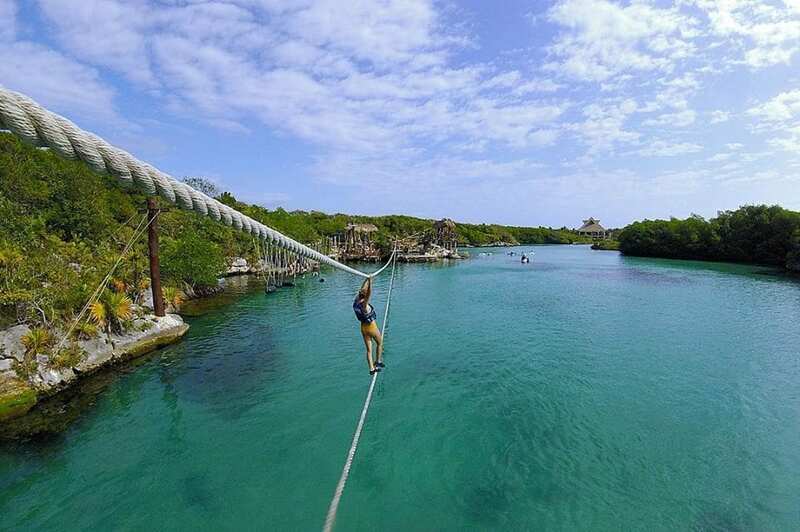 The Gimme All Challenge is one most thrilling excursions you can find in Riviera Maya. 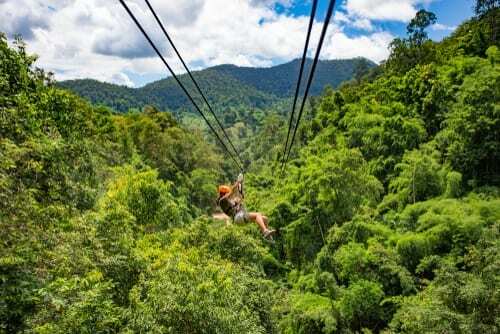 Feel the adrenaline rush as you fly at full speed above the jungle and enjoy the different zip line attractions within this park.This daylong tour (lasting approximately 7 hours) allows time for you to conquer the hanging bridges, the 12 zip-line circuit, the super-flight, the human coaster and the bungee swing. You can also opt to go off-road on a dirt buggy or an ATV and explore the exotic nature of Riviera Maya?s jungle. Take a breather from the adventure in the crystal-clear waters of a cenote (sinkhole) and enjoy complimentary snacks and beverages. Also includes a light lunch and roundtrip transportation. Call us today to book your own getaway to Riviera Maya at 402-390-9291. Add one of these off-property activities in order to create one of the most memorable vacation yet!